Add a touch of fun to your cake, cupcake or dessert. 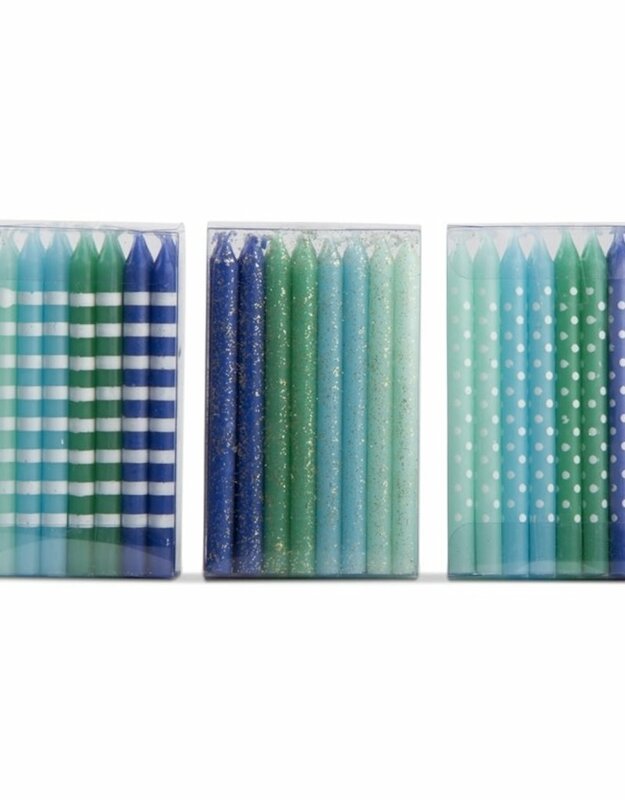 A beautiful range of assorted colored candles. 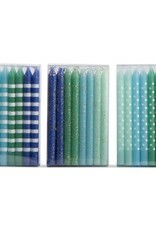 Assortment includes 3 uniquely designed packs of 24 in stripes, dots and embellished glitter. Each pack contains 24 candles in 4 colors.